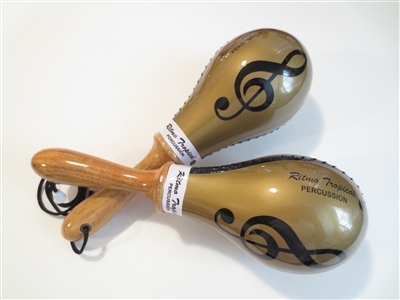 Beautifully handcrafted gold metallic color maracas made with wooden handles and rawhide shells with black color treble note and black line on the side. Used by percussionist, professionals and amateurs. Quality product with excellent sound.